I started my blog in 2012. I didn’t start it has a business, back then it really was a hobby. I’d kept a diary all of my life, which eventually moved online on Livejournal and when that began to feel a bit retro, blogging seemed to be the next step. It had been one of my new years resolutions to take more photos, so I started a blog and went from there. I called my blog ‘Fizzy Peaches’ as I was sitting eating a bag of pick’n’mix at the time, there was no more thought to it than that! It’s since stuck and I can’t imagine being called anything else! I’ve even been called ‘Fizz’ (people think thats my name) and been refused a parcel as I don’t have ID in the name of Fizzy Peaches, obviously. From the get-go I was addicted to blogging, writing most days and filling the rest of my time with content planning, photography and social media. Not much has changed as that is still very much my routine now. In my first year I started to receive PR samples from brands, in fact my first product was a face mask from Lush and I felt like I’d ‘made it’. Soon my entire make up bag and bathroom cabinet was being stocked through my blog, this moved to my wardrobe as I tried my hand at fashion blogging. I was never great at that so I don’t do it very often! Reviews have grown and changed with the times and my life, I now review mainly parenting products as my blog ebbs and flows with my lifestyle. Within 2 years I’d taken my first paid opportunity. I laugh when I look back, but it was a post about renting college books in the USA and I charged $15! My income has then grown steadily over time. In 2015 I launched Fizzy Peaches as my own business (hello HMRC and tax returns, joy!) and grew each year to a point I’ve been able to support myself through my entire maternity leave and now my income matches that of a full time job. Affiliate Links – These links means the blogger earns a TINY commission (it usually is a small amount but they add up) if you were to click on their link and buy something. It doesn’t cost any more to you, the brand would be the one paying the commission. Sidebar ads – Yes, I know they are a bit annoying but those ads on our sidebars help boost our income too. As well as the above I also create content for a couple of big parenting sites on a regular basis, create sponsored Instagram content and have charged for my photography too. WHAT IS IT LIKE WORKING AS A BLOGGER? HARD WORK. I think this has got to be the biggest misconception when it comes to blogging. I know it looks like fun, being sent ‘free’ things (I just cringed at my own use of those words) is actually really hard work. For example, I was recently sent a travel system and asked to create a video review for it. Yes, I got an amazing new product, but the work took me around 2-3 days to complete – I had to put together the travel system, learn all of the components, how it works, take it out for ‘test-drives’, then I actually needed to film the video, which took a LOT of takes and the editing process. Once this was all done, the video was uploaded but there was still a blog post to write, social media posts to schedule. All in all, around 3 full days work went into that. I think about my blog 24/7, it’s a job you can never switch off from. Each post takes a minimum of 3 hours to create, let alone the social media scheduling, photo editing and promotion that goes along side it all. Being self-employed is tough too, sometimes I don’t feel like working but have to force myself, with deadlines looming or when the baby is poorly, I have no choice but to carry on and work as taking your foot off the pedal for just a short while can set you back quickly! I spend most evenings working on my social media accounts, planning content or doing boring admin tasks like clearing my email inbox, replying to emails, organising my finances – chasing payments, invoices or my income/expenditure accounts. Not only do I plan/write all my content but I have to do all the behind the scenes work like this too, which trust me, is not as fun at all! To be a blogger you need to be ready for a 24 hour job and to put in some sheer hard work and determination as it’s a tough market out there, there is fierce competition nowadays and you want to stand out. Saying that, I love my job as a blogger, it’s my creative outlet, my safe space, my happy place – I wouldn’t be without it. SHOULD WE TRUST SPONSORED POSTS? “So if all bloggers are just getting paid to write posts, are they truthful?” I can’t speak for ALL bloggers, but I hope I speak for the majority here when I say that bloggers honesty and integrity is one of the most important aspects to building a successful blog. Bloggers will only write about something if they truly love it and believe in a product, whether they are being paid or not. I know thats the case for my blog, I’ve turned down many paid opportunities as they weren’t the right fit or I felt uneasy about recommending the product. So, in answer to this YES, you can trust sponsored posts, a blogger wouldn’t risk their reputation for few quick bucks after they’ve poured their heart and soul into creating their blog. WHAT ARE THE BEST BITS OF BEING A BLOGGER? Never knowing what is round the corner – working on a parenting post one day, only to receive a shedload of chocolate for a post the next day! THE POST – My postman thinks I have an online shopping addiction, I don’t it’s just the bloggermail, it is a perk! 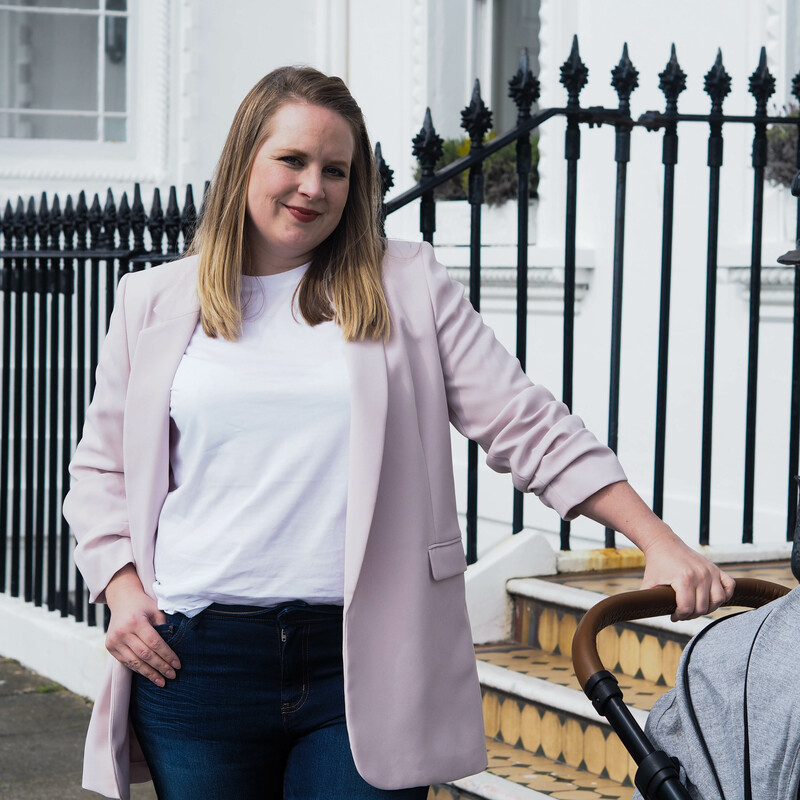 Being able to work from home with flexible hours – essential with a young family, it’s worked really well during my maternity leave. I’ve captured all the best bits of my life – it’s a ready-made scrapbook to look back over in years to come! So, I hope this post has helped convince you blogging IS a real job, a tough, very real, but rewarding job. Have you ever thought about starting a blog? I’d be happy to help with any questions you might have. I’m not a blogger but I completely take my hat off to you and other bloggers. The amount of work you put in is much appreciated as I love your content. I’m currently breastfeeding and reading blogs is my favourite way to pass the time. I agree with you that there is still a stigma around blogging/YouTube being a hobby. I recently read a piece in a magazine and the writer had poked fun at a YouTuber, even going as far as to use quotation marks (…when this YouTuber started their “career”). Ironically this person has ten times the number of subscribers as the magazine has readers according to new circulation figures. It’s puzzling that this is still a question today. Most magazines and newspapers have an online presence, what is the difference between an online article and a blog. Of course, it might matter because many people (me included) are doing it as a hobby. This was such an amazing insight babe especially as I am trying to up my blog game and make it an income ! I know it’s definitely possible – and posts like this are so helpful ! I’ve only recently invested in my blog and I still need to contact some brands and get my name out there ! I’m currently pregnant and am excited to add a whole new category to my blog ! I’ve really enjoyed reading this post. I have been contemplating the blogging road, but after reading all the work you put in, I’m wondering if I should.